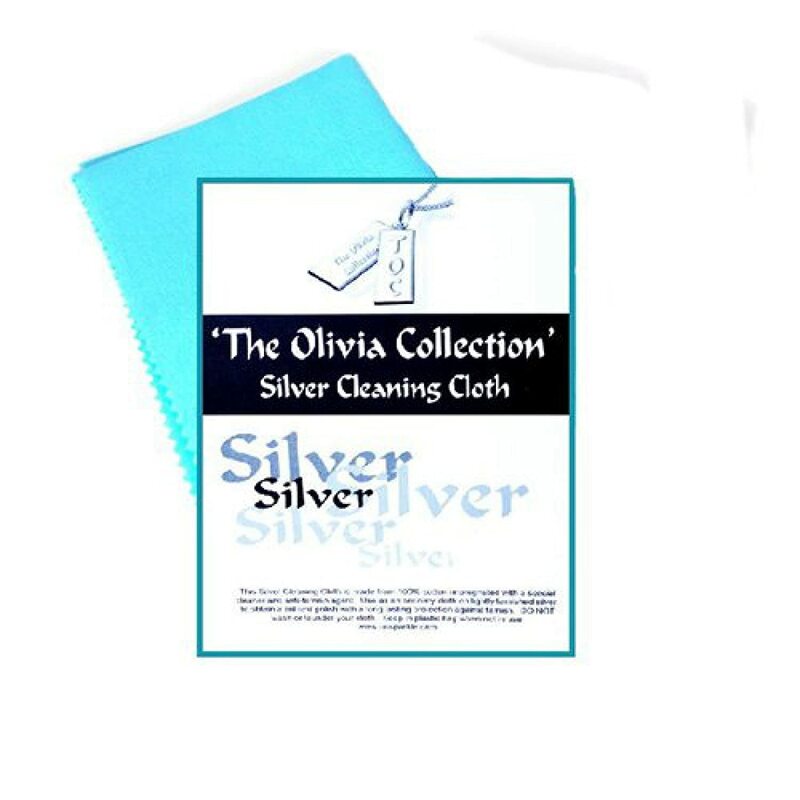 This silver cleaning cloth is made from 100% cotton impregnated with special cleaner and anti-tarnish agent. 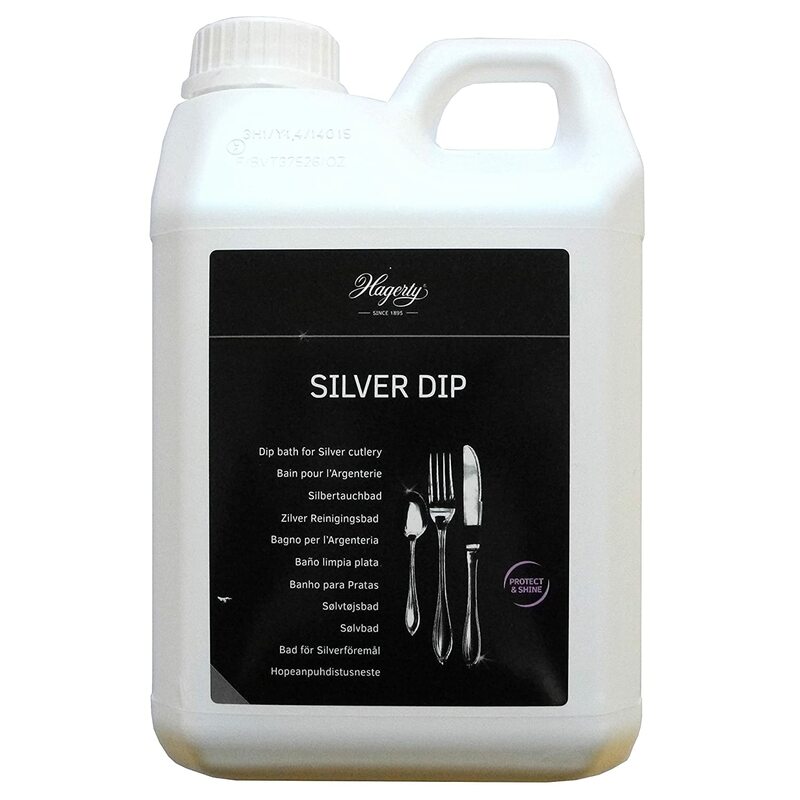 Use as an ordinary cloth on lightly tarnished silver, to obtain a brilliant polish with a long lasting protection against tarnish. DO NOT wash or launder your cloth. Keep in plastic bag when not in use. 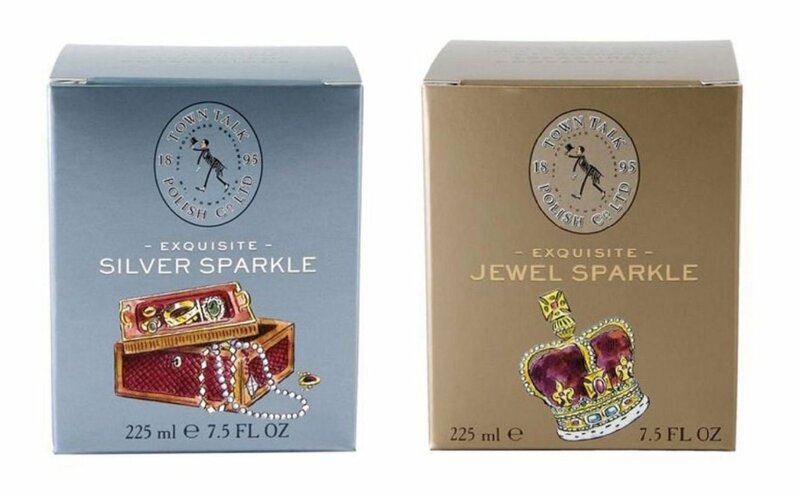 Each pack contains one polishing cloth. I had a 9yr old Pandora bracelet & charms that were very tarnished. I read online that a silver polishing cloth would do the trick in restoring it. Needless to say I was very sceptic after buying (from elsewhere) a cloth that didn't work. I am amazed at the difference this cloth has made to my jewellery! I am absolutely delighted and recommended it to anyone needing to restore some life into some silver. 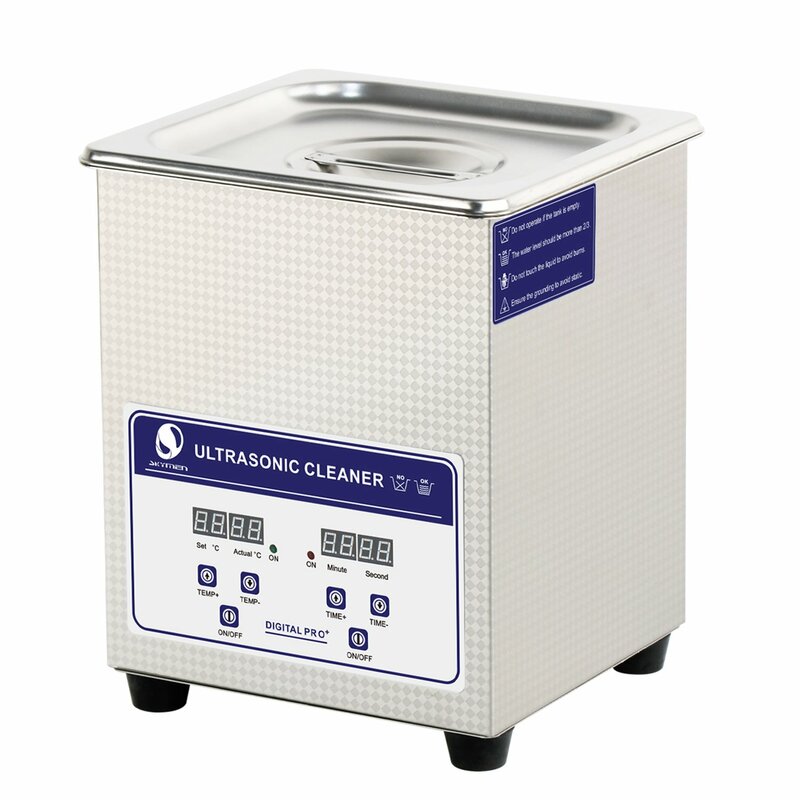 I purchased this for my wife so that she could clean some of her jewellery. I have to say that she was little sceptical at first and did not think that the cloth would clean her silver chains etc, but after trying to clean one she soon changed her mind as the chain came up like new, well worth the money. 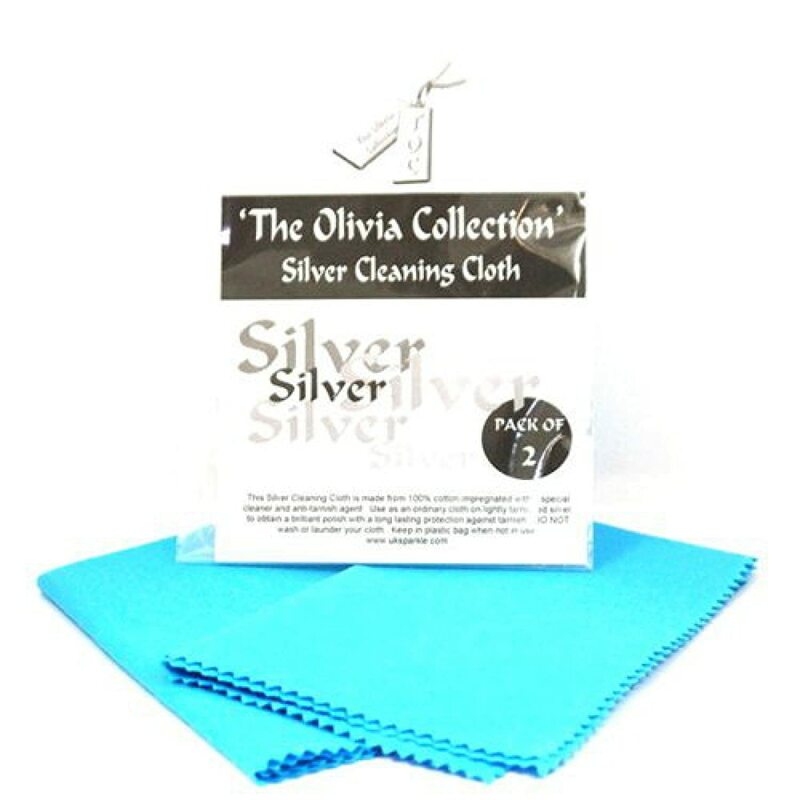 In conjunction with silver dip, the cloths work to restore brilliance to silver Jewellery. 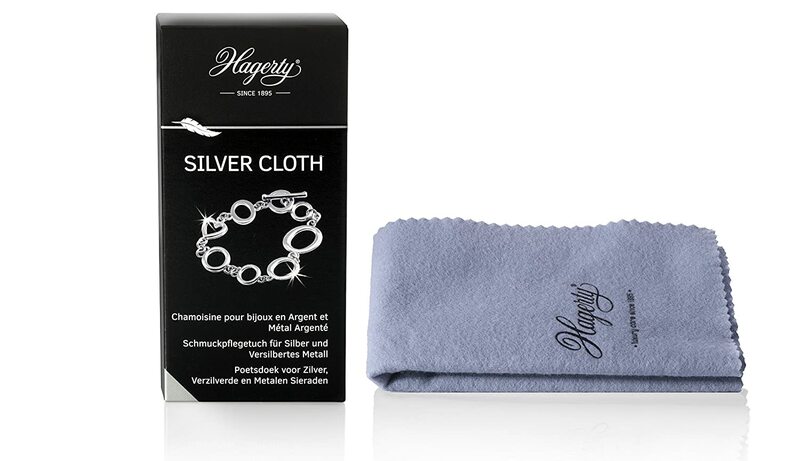 After a bath in silver dip to remove tarnish, these cloths restore the shine of silver jewelry and make it radiant again. Once it's bright again, I store my silver in airtight bags with anti tarnish paper. 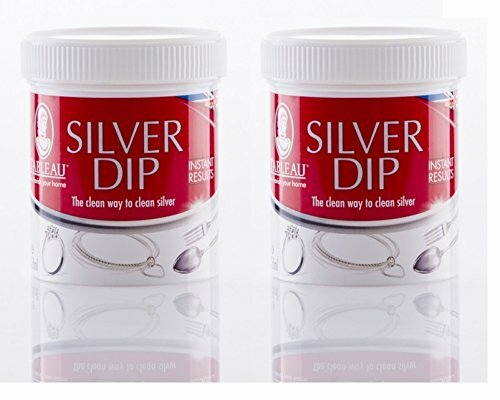 for such an inexpensive product, this is a very effective way to clean silver jewellery - used it within an hour of arrival on some very old silver rings and earrings which had mouldered in the drawer for years. within a few minutes they achieved the 'as new' lustre - quite amazing. 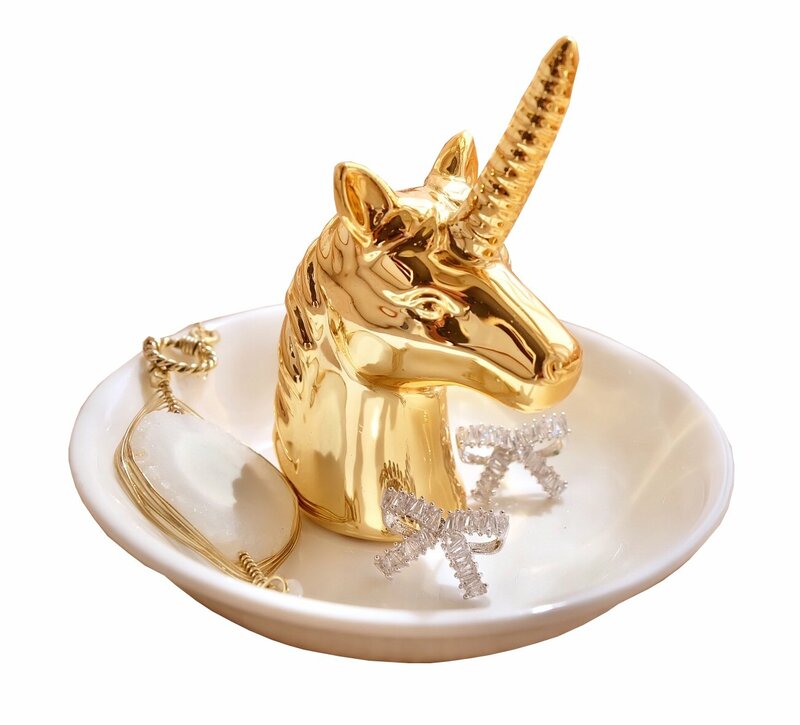 i was told by a friend about this product when i mentioned my dirty silver necklace. bought them on a whim to hope they'd work and to my delight they did, perfectly now my necklace is all sparkly and new! I have a silver pendant I've worn every day for the last four years and as you can imagine it was pretty tarnished. 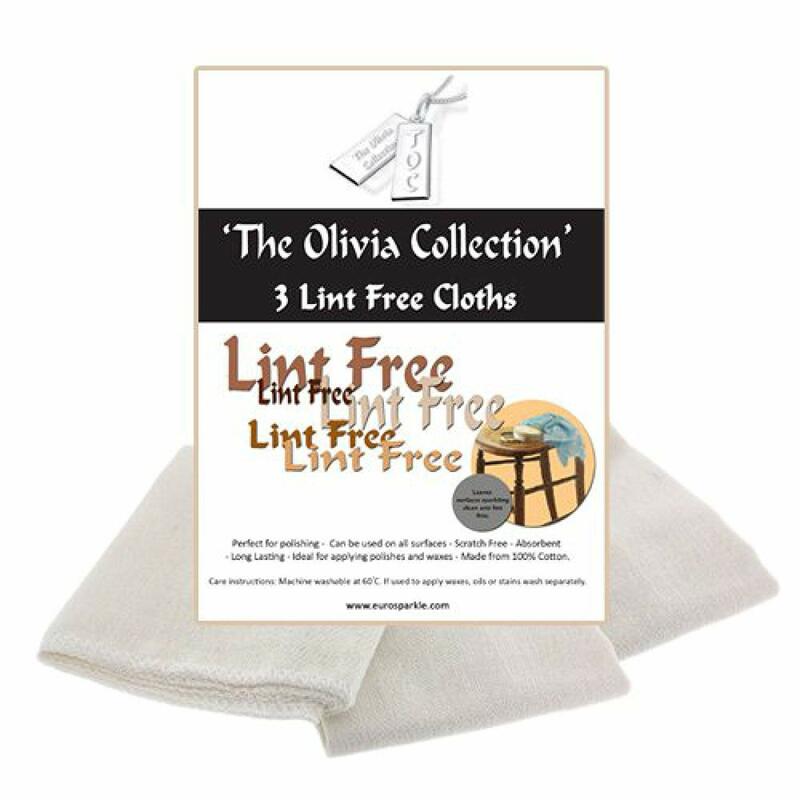 Nothing else I tried worked, so I got these cleaning cloths. Took a bit of elbow grease, but it's shinier than ever! 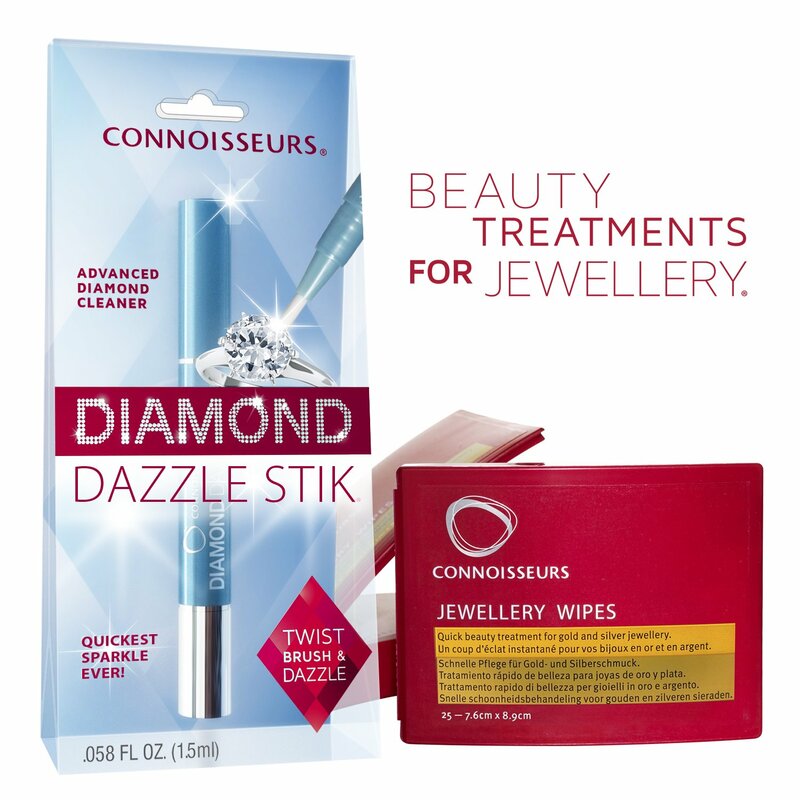 Now I'm looking for other jewellery to clean!! The cloth is clearly impregnated with some kind of chemical. 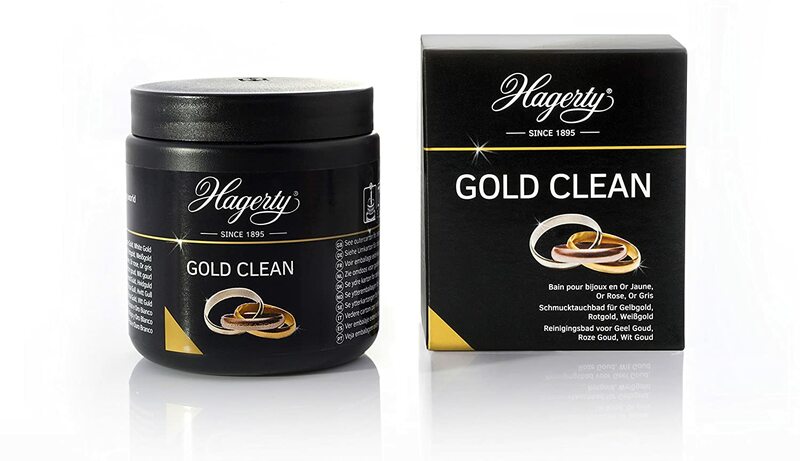 With patient rubbing gold comes up really well and hairline scratches virtually disappear into the gloss. I was really pleased with the finish. Kept in the pouch, the two cloths seem to retain the cleaning power. I'd guess that I would get most of the effect of a much more expensive trip to the jeweller and polishing the gold is quite relaxing.